Bottiglieria 1881 is a small wine cellar in Kazimierz, the Jewish district of Krakow, which has been brought to life again after a long period of neglect. This historic cellar has been revived and has been entirely decorated by local craftspeople who have skillfully handcrafted the stone, wood and metal into a charming celebration of history and modernity. 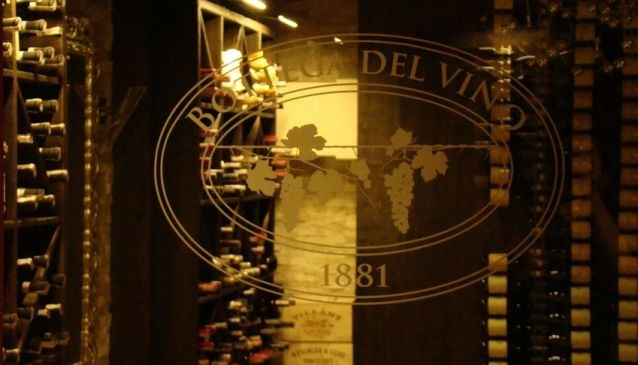 Bottiglieria 1881 specialises in wine and has a fantastic collection of wines from around the world but is also a restaurant where you can enjoy a fine meal with wine of your choice. Every day, Chef Pawel Kras prepares a delicious selection of tapas food in a fusion of different culinary traditions. There is a tapas and wine selection option which changes daily and a similarly changing pasta dish which is skillfully prepared by the chef. For the main course try the risotto with scallops, green peas parsley and lemon olive oil or loin of lamb with chestnut puree, vanilla sauce and young vegetables. Soups include cold beetroot soup and fish bouillon. For dessert there is chocolate cake and white chocolate parfait. Besides wine there is also a rich selection of liqueurs and also coffee which is of a very high quality. Polish poetry is sung on special evenings to accompany your meal and adds a little bit of the national culture to your dining experience. For your home, wine is available at reasonable prices to purchase from the wine shop.